Given the money-driven, cynical nature of the film industry, it’s really no surprise that with every financial success story comes a gaggle of pretenders ripping off the idea in order to grab their own piece of the box-office pie. These so-called “mockbusters” are essentially cheaply made movies that capitalize on the buzz surrounding a successful title and trick viewers into buying the wrong DVD or clicking the wrong thing on Netflix. Notable examples include Aliens vs. Avatars, Snakes On A Train, Transmorphers, and really anything else produced by The Asylum. Perhaps the most egregious offenders are the creators behind children’s movie rip-offs who capitalize on kids’ inattention to detail and parents’ bleary-eyed willingness to buy whatever movie their kid wants. The video list-makers over at MindChop have found 10 of the most horrific examples of Disney and DreamWorks mock-busters and gathered them here for your viewing displeasure. 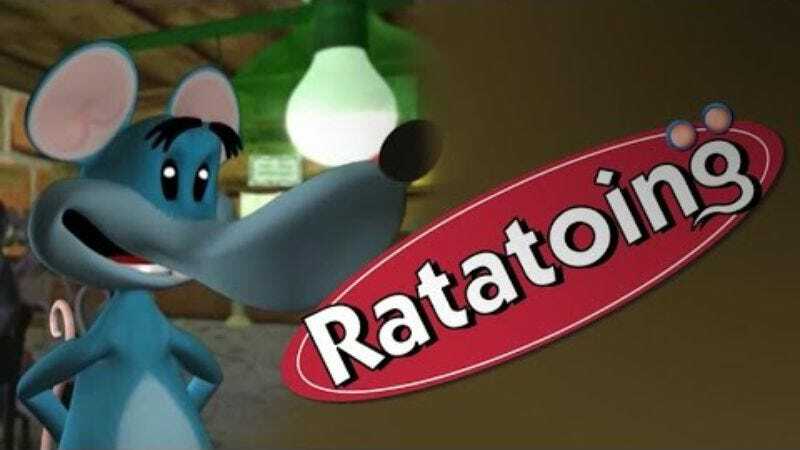 Many of these films (including the Kung Fu Panda rip-off The Little Panda Fighter and the Ratatouille redux Ratatoing) were produced by the Brazilian production company Video Brinquedo, presumably in an animation sweatshop over the course of an afternoon. Others were made by the New York-based production company Spark Plug Entertainment, which makes its bread cranking out ugly CGI flicks like A Car’s Life and, perhaps most offensively, Spider’s Web: A Pig’s Tale. While the source material may differ for each of these cases, the common qualities shared by all include quick turnaround on production, incomprehensibly terrible scripts, and animation that makes a Windows 95 screensaver seem like Miyazaki. If we must live in a world where movies like this are being produced at an alarming rate, we can at least take solace in the fact that a YouTube list-maker had to watch them instead of us.